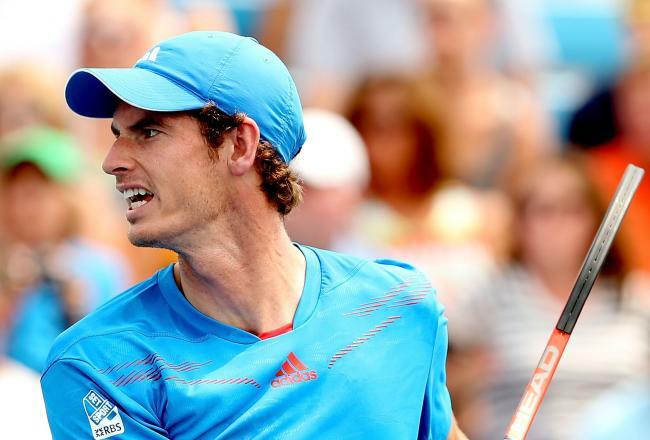 Andy Murray: Will the US Open Be His Next Eureka Moment? Some of us can script our own life story, only a rare few of us can edit it. It is this editing in sportspersons’ lives that decides where they will eventually stand. Federer has done it: from being a racket-smashing youngster to a man on a seemingly never-ending tennis campaign of seduction with his preternatural authority in shot-making. As for how influential he is as a human being and as an ambassador of sport, a lot of ink has already been spilled. Many prayers have been heard. Many questions have been answered. But, of all the solace one could savor having followed the Swiss genius loyally till his seventh Wimbledon title, the record 17th Slam and his march back to No.1, a blissful break from all the bunkum about his dying legacy tops the list. Period. For the rest of the article, click ‘Bleacher Report’. 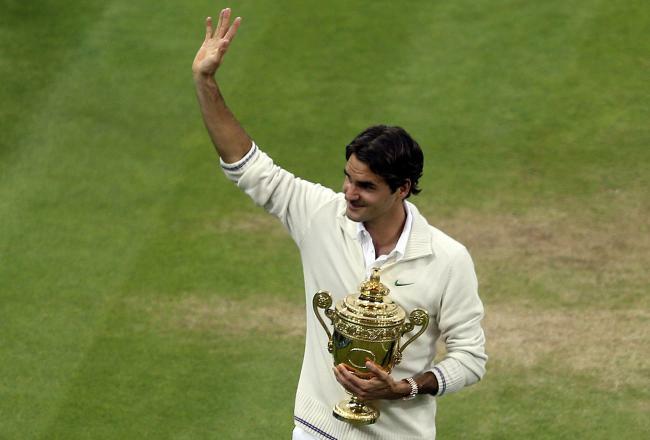 Was Wimbledon 2010 loss a turning point in Roger Federer’s career? Sometimes, monumental losses prove not how far apart the talents of the winner and the runner-up were, but how agonizingly close. The 2008 Wimbledon final between Federer and Nadal proved just that. On any other day, losing a match by five points (204 of Federer’s to 209 of Nadal’s) would not have turned out to be so colossal. But it did. Such was the game and the rivalry. 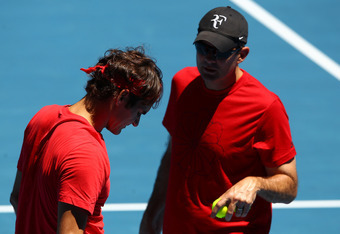 For most of his fans, I think Federer’s first French Open in 2009 almost erased the pain caused by this loss. For me, it is still the most tragic moment. I knew he would win the FO some day. Click Bleacher Report for the rest of the article. When Andy Roddick lost to Roger Federer at Wimbledon 2009 finals, he sat down dripping with sweat while Federer took a victorious stroll around the Centre Court. 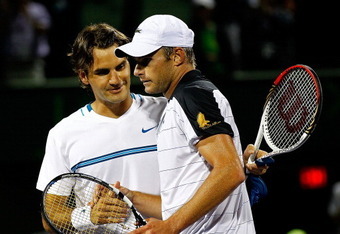 Despite one of his best fights, Roddick had lost to Federer for the third time at SW19 and fourth time in a Grand Slam. The celebrations of the truly epic final between Novak Djokovic and Rafael Nadal at the 2012 Australian Open had just begun. Firecrackers were lighting up the sky. Champagne corks were popping. Djokovic was being elevated to the highest ranks. Tombstones were being erected for Maestro Roger Federer. As it rained confetti at the 100th Australian Open awards ceremony, there stood Rafael Nadal next to Novak Djokovic—facing floodlights of despair, looking lost, but still holding on gracefully. A layer beneath this grace was the look of a stranger in a strange land. 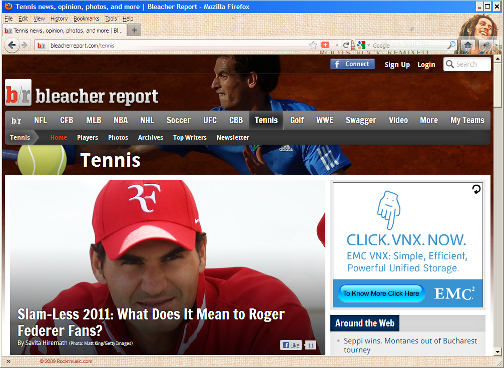 My first ever tennis writeup for Bleacher Report became the lead of the day! To read full article on ‘Bleacher Report’, click here.